One look around the Gelid booth at Computex and you understand why Arctic is not in the news any more and Gelid is. 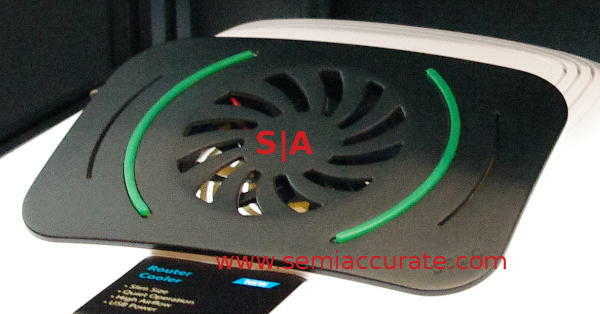 The company was showing off a ton of fans and coolers that were actually interesting and innovative. The first thing from Gelid is not exactly a massive technical leap but I for one have not seen it before, it is a router cooler. If you know the laptop cooling stands, basically a big pad with a fan in it to blow air over the hot bottom of your leg scorcher, this is the same time for home routers. Gelid says it is quiet and has high airflow, something we don’t doubt given the company’s history, and is all USB powered. If you have ever picked up your home router, you know how hot these badly designed little beasts can get, laptops can be comparatively frigid. If you torrent a lot of daily builds and new distros like SemiAccurate does, they can overheat and crash in short order. A router cooler like this is just a good idea. Gelid would not be Gelid without showing a big cooler, and this year it is called the Black Edition. This two fanned, seven heat-piped monster is meant to dissipate 200+W without breaking a sweat, but the interesting bits are once again in the details. 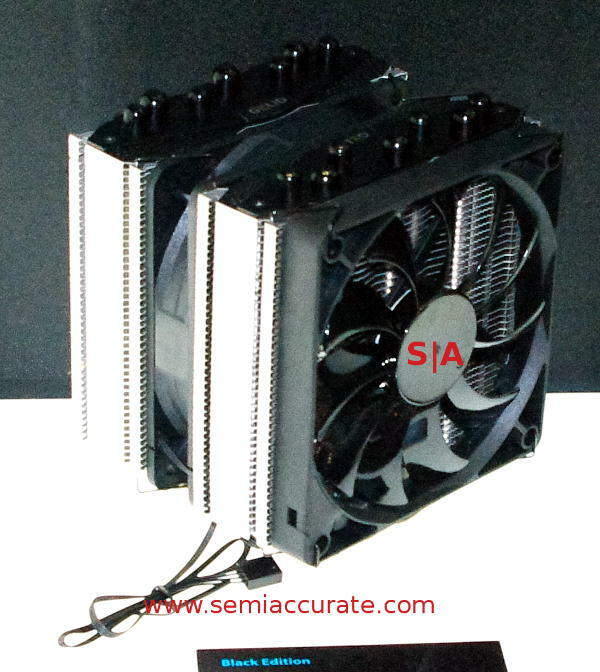 The middle fan is Gelid’s 120mm PWM fan but the outer version is their Slim PWM version, so asymmetric airflow on this one. Should this not be enough you can add an optional third fan to the outside for more blowing or sucking. Lets just go with airflow shall we? On the base things are asymmetric once again, the seven heatpipes are divided in to two types. Black Edition has three 8mm pipes and four 6mm pipes arranged in the base, something we aren’t sure of the science behind this but the Gelid guys do get that side of things. Best of all they include their GC-Extreme thermal compound to slather on the bottom, a good choice for this market. In case you haven’t been paying too much attention to thermal compounds of late, GC-Extreme is the only one that we know of that will work at liquid nitrogen temperatures. Next up is a very low profile fan meant at the low profile mini-PC markets called the Slim Hero. While this heatsink may look like a squashed vertical device and is only 59mm high, it gives up very little compared to its differently oriented kin. 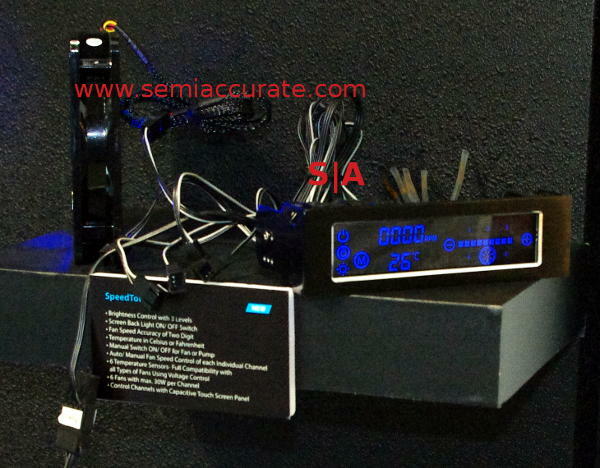 It has four full heatpipes and full PWM fan capabilities. If you are building a HTPC box meant for more than casual gaming, you could do a lot worse than the Slim Hero. On the GPU cooler side there are two new Icy Vision heatsink/fan combos, the Rev2 for AMD/ATI and Nvidia and the A for AMD only. Both should be snap on replacements for the reference designs of the latest high end GPUs should you want to push the limits on clocks there. More GPU cooling is never a bad thing, especially given how easy overclocking is of late. Best of all the lights turn off!